Are There Religious Exemptions to Vaccines? Although vaccines are required to attend most schools in the United States, with the above exemptions, many kids attend without being vaccinated or fully vaccinated. And of course, parents can always choose to not send their kids to school. Children who are home-schooled usually do not have to meet the same vaccine requirements as children who attend public or private schools. None of these religions doctrinally prohibit their members from getting vaccinated. The Eagle Mountain International Church even had a few vaccine clinics at their church during their measles outbreak. Although some people in religious groups cluster and refuse vaccination, they are often actually claiming personal-belief exemptions and not true religious exemptions. Churches that rely on faith healing including small Christian churches that believe in faith healing over medical care, such as Church of the First Born, End Time Ministries, Faith Assembly, Faith Tabernacle, First Century Gospel Church, etc. 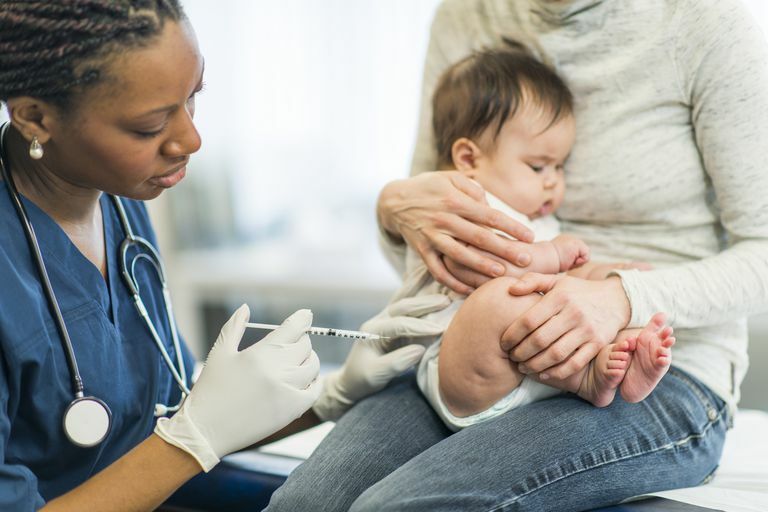 Except in Mississippi and West Virginia, members of these churches and other people who have religious beliefs against immunizations can be exempted from school immunization requirements. Although there are few religions with an absolute objection to vaccines, there are many more groups within other religions who are opposed to getting their kids and themselves vaccinated, which helps explain some of the outbreaks of vaccine-preventable diseases outlined above. There is no absolute objection to vaccines within these faith traditions, though. Even among the Dutch Reformed churches, there is a subset who describe vaccines "as a gift from God to be used with gratitude" and vaccination rates in these communities have been on the rise. For many religious groups, their anti-vaccine views aren't always about religion anyway. For some Muslim fundamentalists, for example, opposition to the polio vaccine in Afghanistan, Nigeria, and Pakistan has had much more to do with social and political issues, rather than theological issues. Some have even believed that the polio vaccination effort was a conspiracy to sterilize Muslims in the area. Unfortunately, these are the countries where polio is still endemic. While orthodox Hasidic Jews were at the center of the large measles outbreak in New York, for example, most other orthodox Hasidic Jews in New York are fully vaccinated and some have even participated in trials for the mumps and hepatitis A vaccines. So instead of a true religious exemption, these become more of a personal-belief exemption. The main problem is that these groups of unvaccinated people become clustered together at church and other activities, helping to fuel large outbreaks of vaccine-preventable diseases. Another problem is that some of these churches do mission work overseas in areas where many of these vaccine-preventable diseases are still very common. An unvaccinated worker may go to one of these countries, catch measles or pertussis, etc., and then return home and infect family members and other people in their church congregation who are either also anti-vaccine, too young to be vaccinated, or who have a medical contraindication to getting vaccinated. One study of vaccine-preventable disease outbreaks among religious groups found that "while the church was the common link among cases, there was no formal advice regarding vaccination from the church before the outbreak. Instead, vaccine refusal was attributed to a combination of personal religious beliefs and safety concerns among a subgroup of church members." Catholics—While some people still believe that Catholics are opposed to some vaccines, the Catholic Church is clearly pro-vaccine. Even for the vaccines that some parents question, especially those for hepatitis A, rubella, and varicella, which are cultured in cells that were originally derived from aborted fetuses, the Church teaches that "if no safe, effective alternative vaccines exist, it is lawful to use these vaccines if danger to the health of children exists or to the health of the population as a whole." Jehovah's Witnesses—Although Jehovah's Witnesses had a past opposition to vaccines, which were once banned in the group, in 1952 they stated that vaccination "does not appear to us to be in violation of the everlasting covenant made with Noah, as set down in Genesis 9:4, nor contrary to God's related commandment at Leviticus 17:10-14." Jews—Confusion still exists among some people over the fact that since some vaccines contain components with porcine (pig) and gelatin components, then it must be against Jewish dietary laws for their members to be vaccinated. However, the use of vaccines "are judged based on concepts of medical law contained in halachic codes" and are therefore encouraged. Muslims—Except for areas where polio is still endemic, several imams and other Islamic leaders issued clear statements and fatwas describing how immunization is consistent with Islamic principles. Hindus—None of the four major branches of Hinduism are opposed to vaccines and countries that are majority Hindu, including Nepal and India, have high vaccination rates. Although many of the large outbreaks of vaccine-preventable diseases occur among religious groups, few religions actually oppose vaccines. Instead, most actively encourage their members to get vaccinated and prevent the harm from vaccine-preventable diseases. Connors, Dan. The Truth about Vaccines: A response to our critics. Catholic Digest. May 5, 2010. Furton, Edward J. Vaccines Originating in Abortion. Ethics & Medics, Volume 24, Number 3. Grabenstein, John D. What the World's religions teach, applied to vaccine and immune globulins. Vaccine. 31 (2013) 2011-2023. Kennedy Allison M. Measles outbreak associated with a church congregation: a study of immunization attitudes of congregation members. Public Health Reports. 2008; 123(2):126–34. Law in Public Health Practice. Vaccination Mandates: The Public Health Imperative and Individual Rights. National Conference of State Legislatures. States with Religious and Philosophical Exemptions from School Immunization Requirements. Updated December 2012. Salmon DA.Health consequences of religious and philosophical exemptions from immunization laws: individual and societal risk of measles. JAMA 1999; 281(2):47–53. How Many Kids Are Exempt From Vaccines at Your Child's School? Should You Be Concerned About Vaccines Made in China?